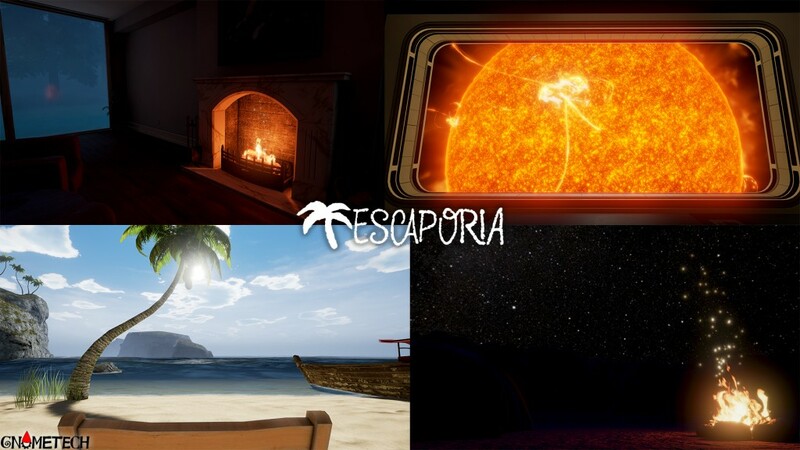 Worked once again with the fine folks at Quantum Capture to put together a virtual reality demo for CVR2017. 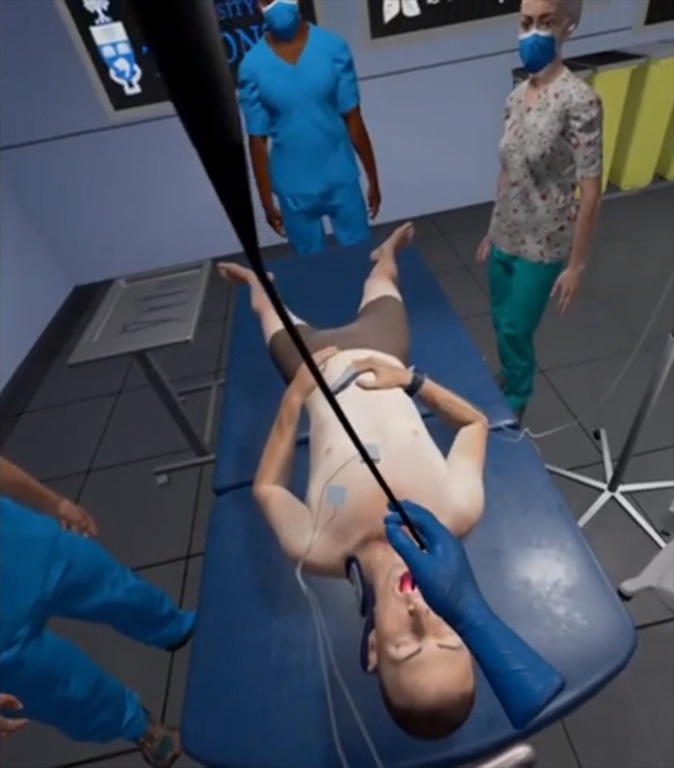 This demo, for the Oculus Rift, walks the player through assembling their own virtual human. 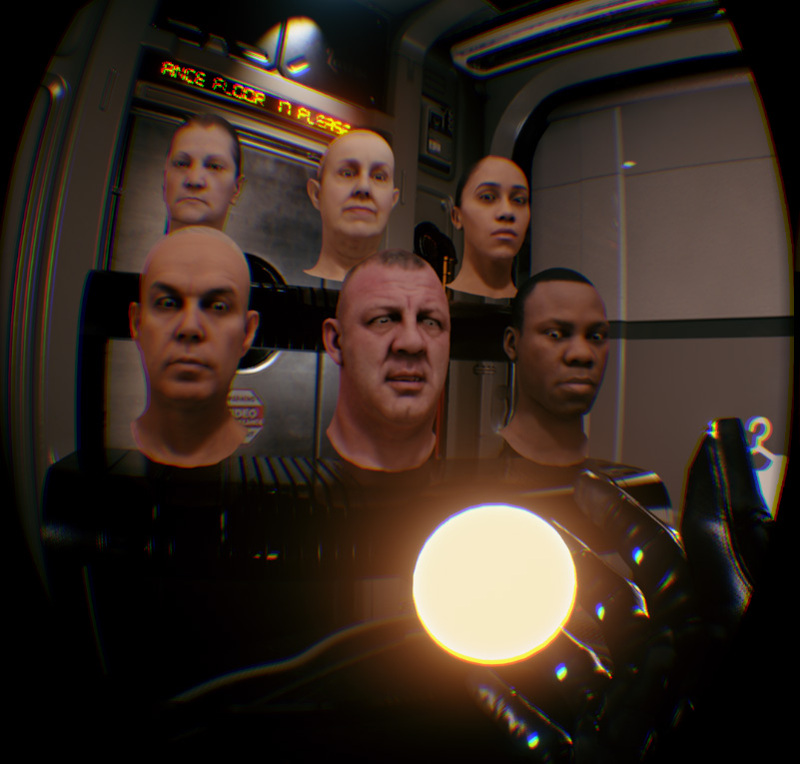 You start off with a collection of heads to choose from, some of whom are easily distracted by bright objects. You may pick up each head and inspect it, all while the head and eyes stare into your soul. MorganBot then has you choose a body and cloths for your head. Feel free to place and remove those heads at will! 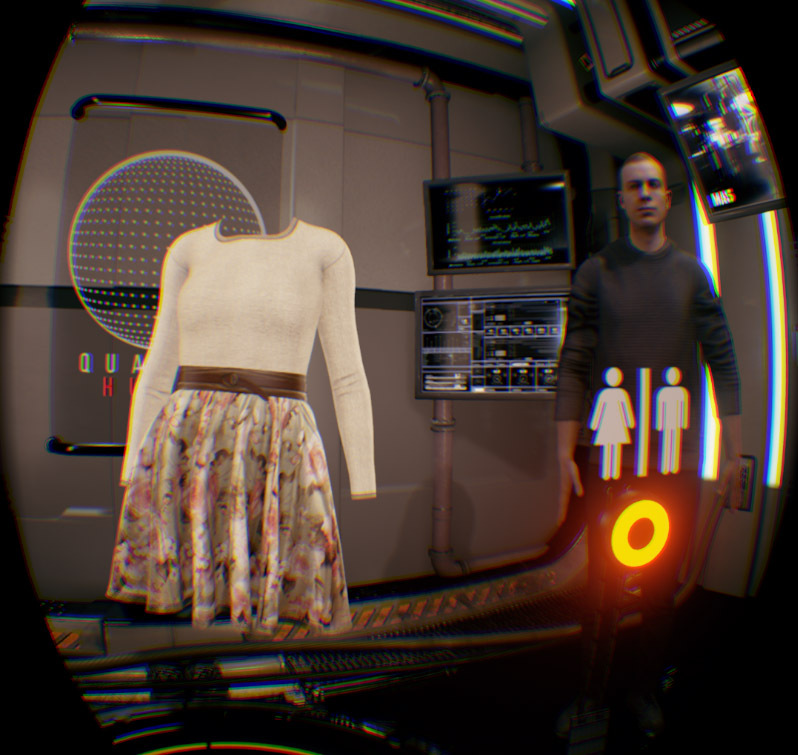 All-in-all a fun little demo to show off virtual humans in VR. 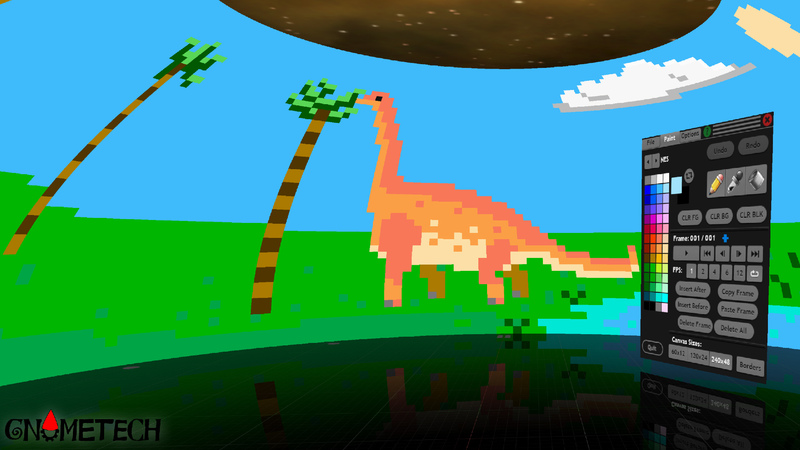 Circumpaint is an app for the GearVR that allows you to create and animate pixel art. This is my first go at it. Circumpaint, our 360 degree paint and animation application, has just been released on the GearVR store! 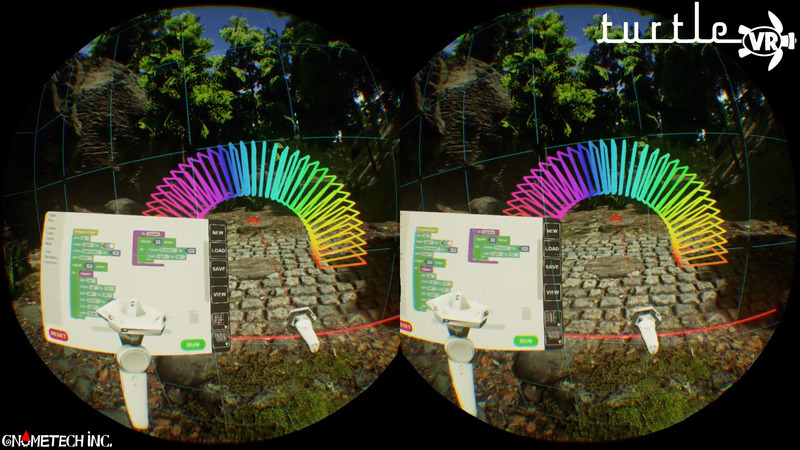 Using either the GearVR’s touchpad, or a Bluetooth gamepad, you paint on a canvas that completely surrounds you. You are at the center of your art. And when you’re ready, use page-flip style animation to bring your creation to life. Buy Circumpaint from the Oculus Android app, or from within GearVR Home. You can find out more about Circumpaint, along with some directions on how to use the paint tools, on the Gnometech Circumpaint page. 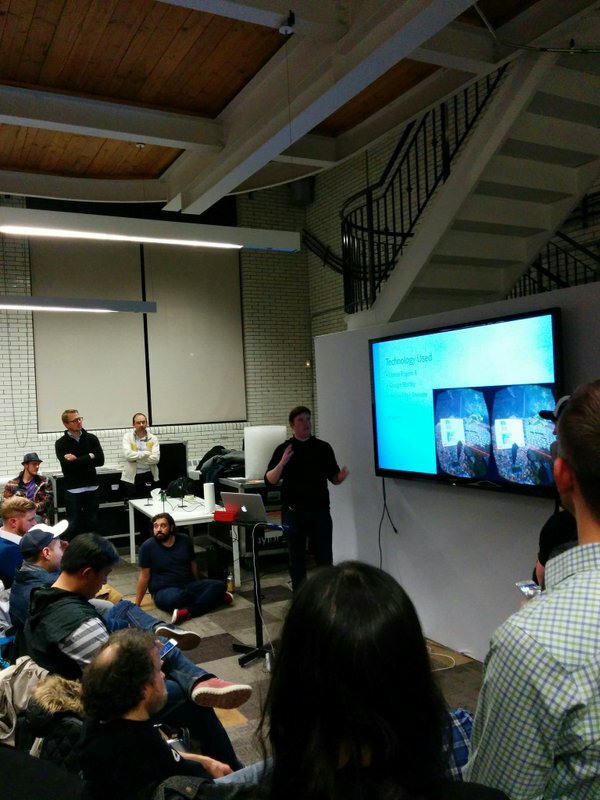 Last night, David Wyand gave a talk on Turtle VR and the technology behind it at TorontoVR. 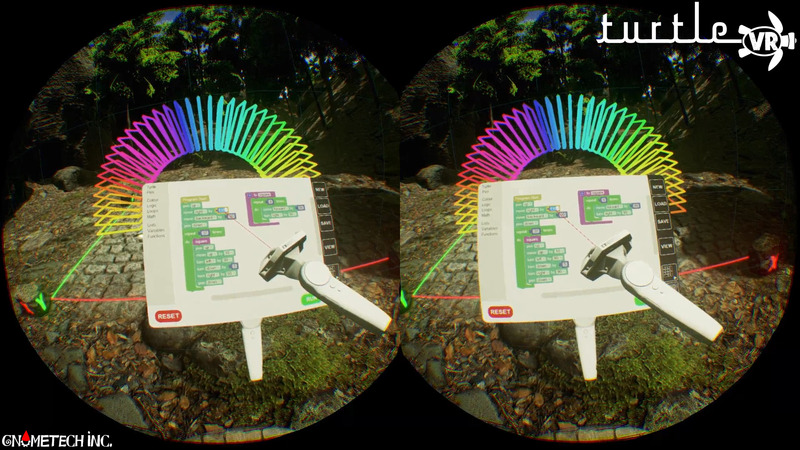 He gave a summary of using UE4, Coherent UI, Google Blockly, Oculus DK1, and Razer Hydra in producing the code block programmable drawing application. The event was packed as Oculus came by to demo their consumer Rift and Oculus Touch. 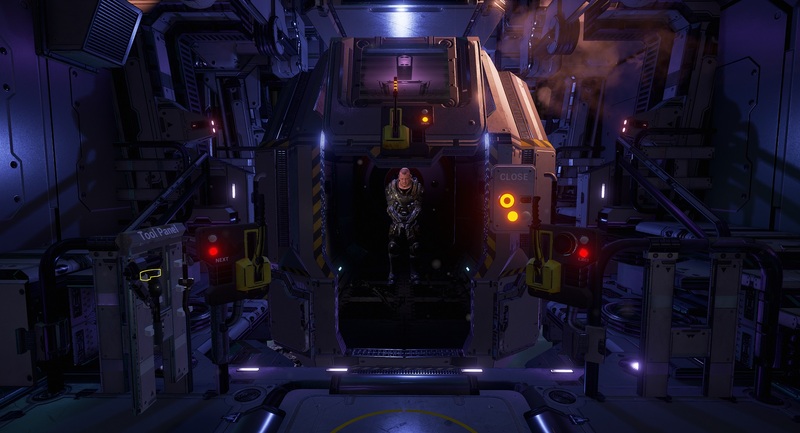 It looked like most people played Bullet Train, a demo made by Epic using UE4. 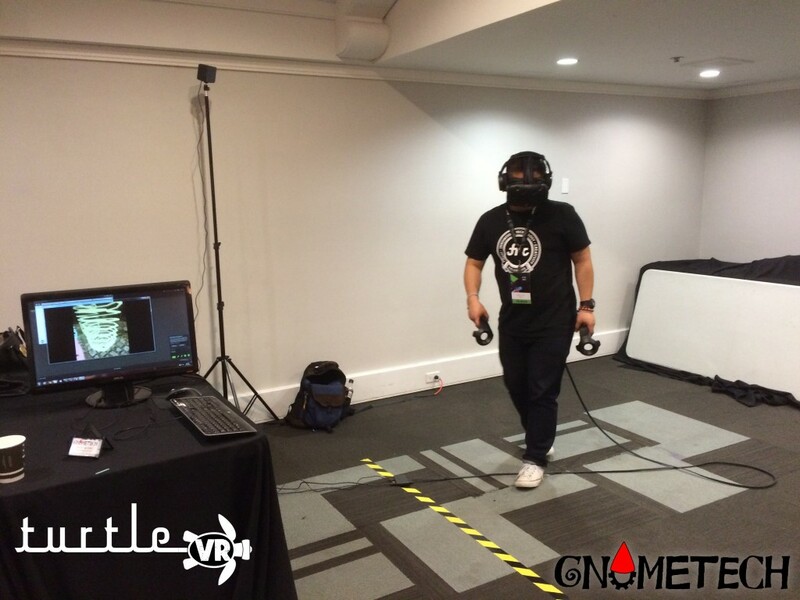 The Vive preview version of Turtle VR was also available for attendees to try out thanks to Globacore.